Rebeca E. Salmon received her Juris Doctorate from the University Of Georgia School Of Law. Following law school, Ms. Salmon worked for Catholic Charities Atlanta through an Equal Justice Works Fellowship (EJW). Through her EJW fellowship, Ms. Salmon established the Immigrant Children Advocacy Project (ICAP), a program that still survives. She returned to private practice in 2011, opening her own firm, A Salmon Firm, LLC. In September 2011, with her heart in non profit services, Ms. Salmon began as the Executive Director of Access to Law, Inc. a nonprofit foundation dedicated to ensuring no vulnerable person goes without Access To Law based solely on inability to pay. She is an experienced litigator and serves as a mentor to many of her colleagues and has developed a reputation as a reliable and useful resource to DFCS agencies, Child Advocate offices, Guardian Ad Litem offices, schools and anyone interested in protecting our youth. Ms. Salmon sits on the Board of The Barton Clinic, is an active member of the Atlanta- Alabama AILA chapter, a member of the American Bar Association (ABA), the State Bar of Georgia, the American Immigration Lawyers Association (AILA) and the Supreme Court of the United States. 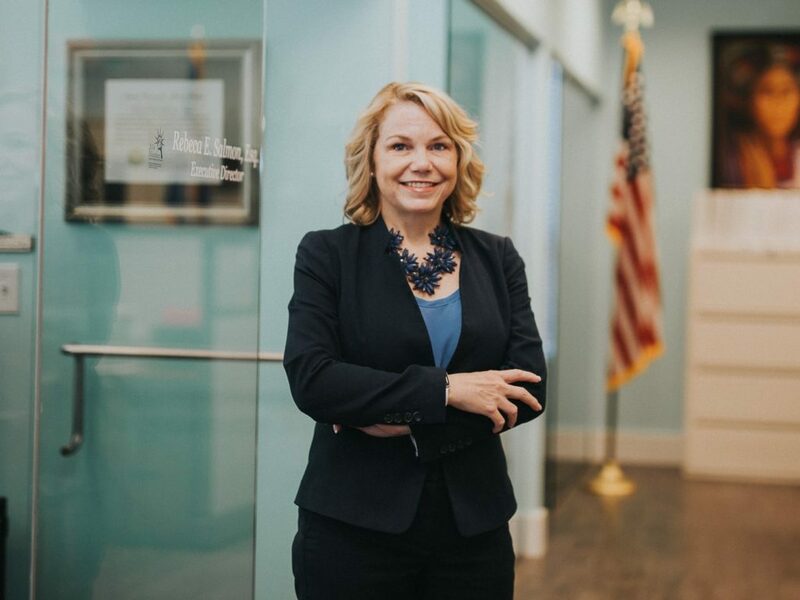 She is also an active member of the National Association of Counsel for Children (NACC), Georgia Association of Counsel for Children (GACC), Immigrant Children’s Legal Network (ICLN) and is a Court Appointed Special Advocate (CASA) for children in juvenile proceedings. She is an adjunct professor at Brenau University and she was awarded the 2010 Liberty Bell Award from DeKalb Bar Association. Ms. Salmon speaks English and Spanish and is a Certified Child Welfare Law Specialist.